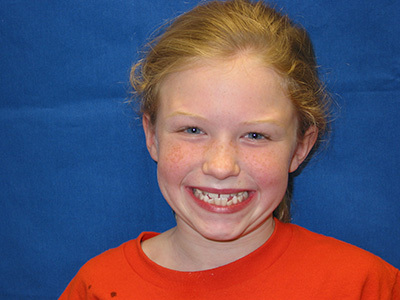 At Mintalar Dental, our patients really have something to smile about. 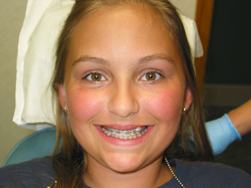 With the help of braces and cosmetic procedures such as crowns, bridges and veneers, our patients now have the smiles they have always wanted. 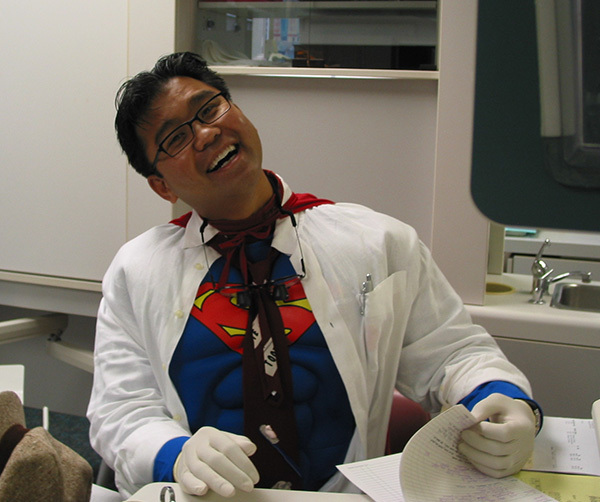 Dr Eric Mintalar prides himself in restoring smiles to all patients of all ages. 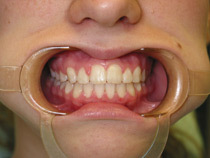 With advances in cosmetic dentistry, men, women and children are able to have that “million dollar smile” in no time at all. 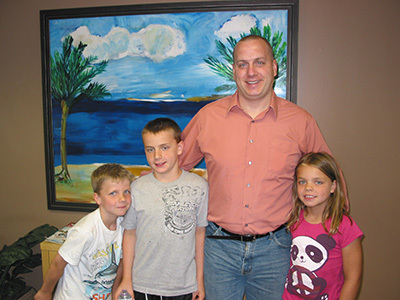 Dr. Eric Mintalar is a family dentist providing general dental services, such as: implants, crowns, bridges, orthodontics, and cosmetic dentistry to Minneapolis, Brooklyn Center, Golden Valley, Crystal, and Brooklyn Park, MN. 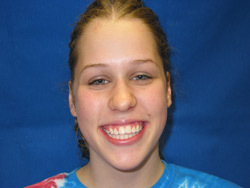 Amanda's smile before braces and her fantastic smile after braces! 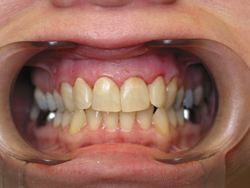 Porcelain all-ceramic crowns are an option for restoring a natural smile. 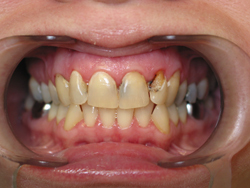 This is a before and after photo of a conventional porcelain fused to metal crowns and replacement all porcelain with no metal crowns. 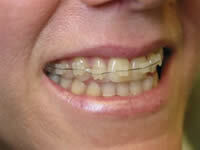 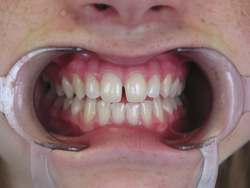 Can you tell which teeth were restored and notice the difference in the smile? 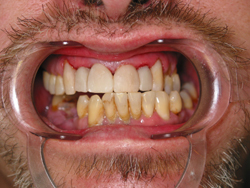 Kirk presented us with an esthetic challenge of restoring his smile. 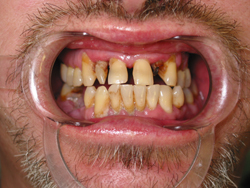 A combination of composite restorations, root canal therapy and a commitment for better oral health was agreed upon and the results of 4 hours of dental work and his smile was restored. 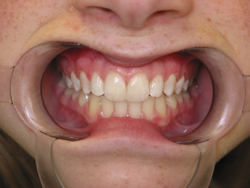 The before and after appearance of a happy and smiling patient. 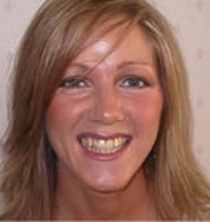 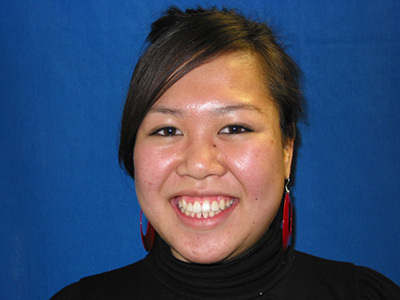 Diem decided to have Orthodontics to straighten her severely rotated central incisor. 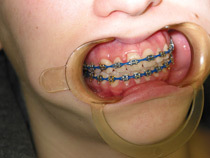 John visited us to have a porcelain bridge placed in his mouth. 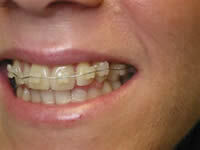 Here are before and after pictures of John's procedure. 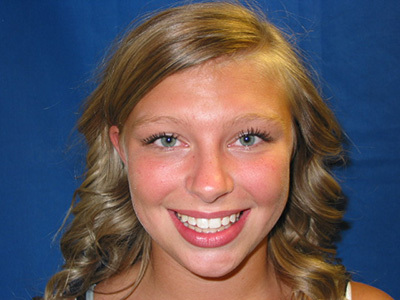 Brandi's smile looks fantastic after finishing her Orthodontic treatment! 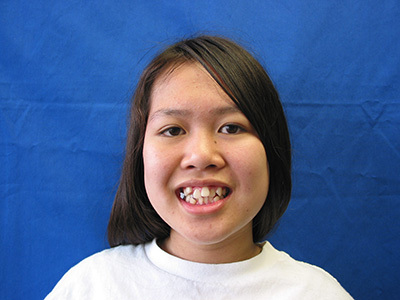 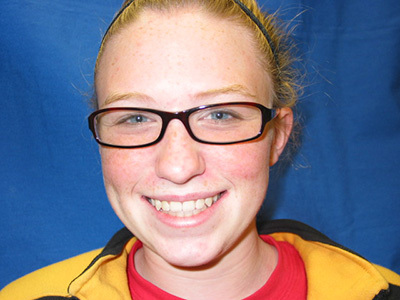 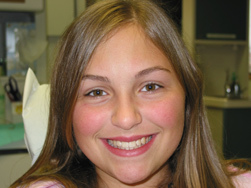 Rebecca was thrilled with her new smile after her braces were removed! 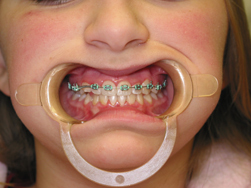 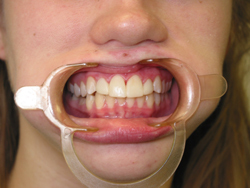 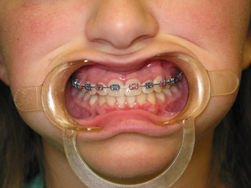 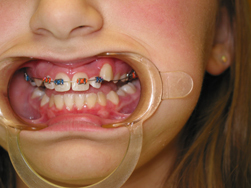 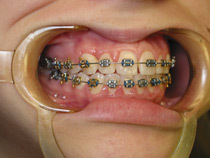 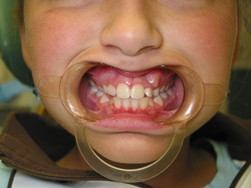 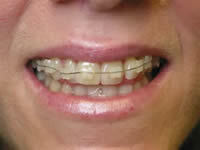 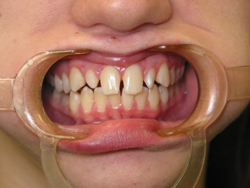 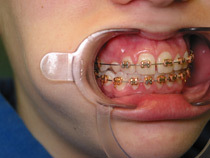 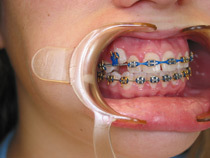 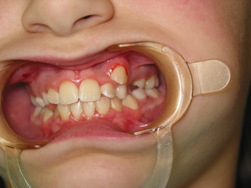 Early orthodontic treatment is such an important feature of correcting early malocclusion cases in your childs teeth - a thumb/digit sucking habit was overcome by using an orthodontic appliance to discourage the damaging effects of the habit. 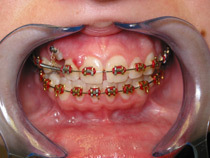 Isiah's appliance therapy to correct his digit habit and close his open bite took 12 months to complete. 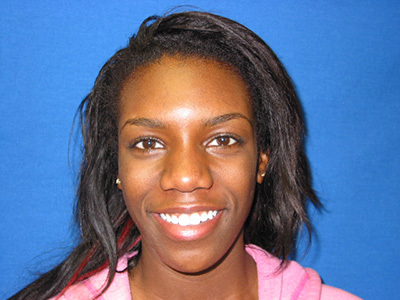 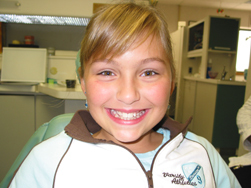 Early orthodontic treatment is essential in developing smiles ~ Renee's case took 24 months to complete using expansion appliances and segmental orthodontic wires. 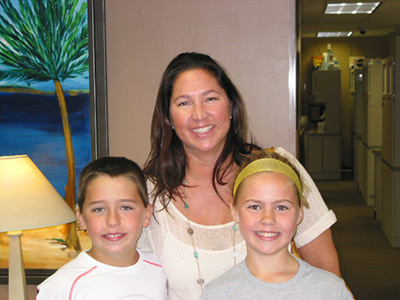 We love seeing Ryan, Payton and Jody at the office!